Singapore Airlines is planning a new generation of first class suites and business class seats for both the Airbus A380 and an ultra-long range Airbus A350, which will take to the skies in 2017-2018. The Singaporean flag-carrier invests heavily in creating superb cabins for its premium passengers – its latest Boeing 777-300ER first class and business class are arguably the best seats in the world – so it's always intriguing to see design concepts for its next-gen seats. A case in point: these concepts created for the airline by British firm DCA Design International. Developed in 2014, a year after Singapore Airlines' current first and business class seats made their debut, they could even provide some hints as to what we'll see next from SQ. 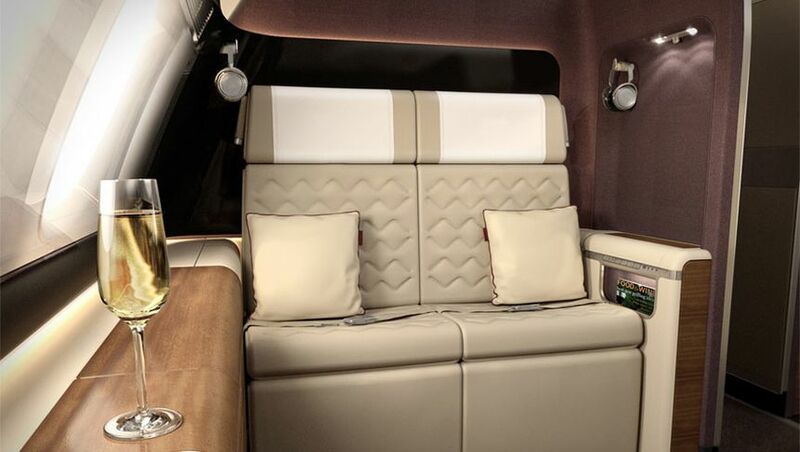 The first class concepts reveal an elegant if compact suite (which appears to be located on the top deck of an Airbus A380). Immediately noticeable is a novel 'split seat' which would provide "an intimate shared space for a couple travelling together", DCA explains, or it can simply be an oversized seat which delivers "an extremely spacious cosseting and luxurious space for an individual traveller." DCA says the notion was inspired by research which revealed a "growing tendency for business travellers to take partners or families with them on business trips." And while the ottoman could also be used as a companion seat, "the suite can easily accommodate four people, including the option to dine together." DCA even proposed that the large HD video panel could display two different pictures, although that'd prove more distracting than anything else. The finishes in these mock-ups are undeniably high-end and share some of the design language found in Singapore Airlines' current seats. The proposed business class seat is also a stunning effort and incorporated suite-like sliding doors. DCA's business class cabin concept retained the front-facing 1-2-1 layout. A frosted opaque panel between the middle seats offers a choice between privacy and interaction with fellow travellers. As you'd expect from a modern premium seat, there's generous space for spreading out and stowing your personal gear. Note that these are purely concepts which DCA has chosen to make public – they're not Singapore Airlines' actual next generation seats for 2017 onwards, with a spokesman for Singapore Airlines confirming to Australian Business Traveller "these seats are design concepts from a previous design submission." 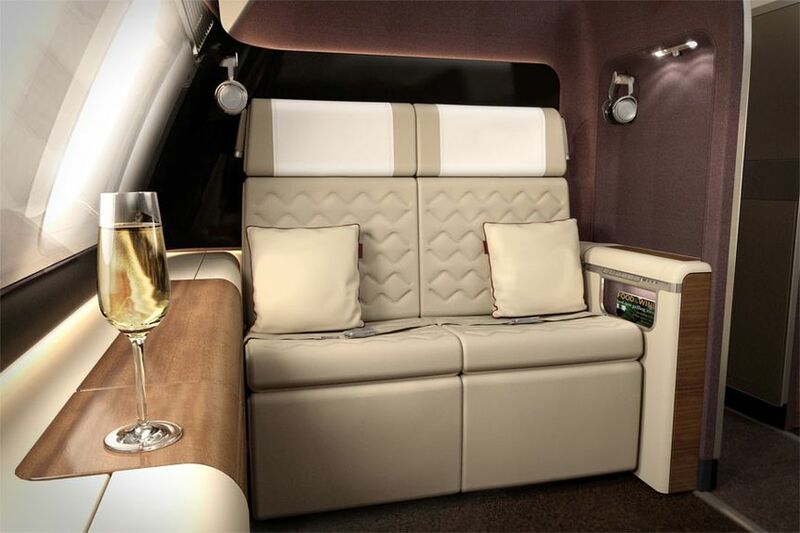 All the same, they provide a glimpse into the advances being made in first class and business class design. Is this BA's next-gen Club World seat? Gorgeous designs. I like the idea of 4x people sharing a meal together in First. I also like the privacy of the business cabins. I wonder why DCA only chose to release these images now...? Maybe they missed out, so are putting them out there to tout for future business. not sure why you'd put four in those F cabins, when presumably they'd all have the same equally sized space -- being able to usefully use two centre cabins on the otherhand. LOL..an 'intimate shared space' in F/C..that's called 'creative marketing' lol...If i'm paying SIA prices,I don't want to be rubbing shoulders with my companion during takeoff/landing...or inflight... no matter how much we 'love' eachother lol..as the concept F/C seat is basically a bench for 2...the concept J/C seats look great though :). Look's good - Etihad's Apartment is still the seat to aim for as The Residence is too niche a segment to focus on. "I wonder if it really does bring the 'wow' factor like The Apartment's do though..."
Personally, I don't think this is a very creative concept. Its basically a standard First Class enclosed suite product, totally off the rack, but enlarged to support two people. But even though I wouldn't describe it as very innovative, it will be fantastic for paired/partner travel... its Honeymooner Bait. I do see there being a problem though... economically speaking, this product would INCREASE the cost for solo First Class passengers (due to taking up more room). However, it would DECREASE the cost for duo First Class passengers (because the seat cost would support both one and two passengers, the cost for paired passengers would only be the additional price of First Class service (but not an additional seat) for one person). This would mean, basically, the solo traveller would be getting a worse deal than before, and it might make the solo First traveller shift to Business Class. Solo travellers are effectively being forced to pay for two First seats and one unit of First service. In addition, the Business Class is so good that it may cannibalize First demand. 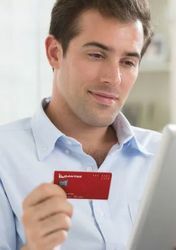 At the very least, the ability to join two middle suites means that every passenger pays their fare share of the ticket (i.e. 1 unit of First Class seating and 1 unit of First Class service). Etihad's apartment is a more creative seating concept, and there's still the ability for double beds to be made. That said, this new SQ first would probably be cheaper for a pair travelling together (versus two Etihad First Apartments), and would probably be better for paired travel. How is Qantas "losing again"? Based on their financial report they seem to be doing quite well without you Anthony. I don't think Anthony is referring to the financial status of Qantas, I believe he is rather referring to which airline he offers his loyalty. Those seats look incredible. I bet that the First Class ones are pitched three-abreast in order to make room (inside both the upper deck of the A380 and the front of the A350) for two people. Making every First cabin into a potential "Love Seat" for two actually is excellent for companion travel and also would increase the value-for-money proposition of First Class (since I'd presume two people in the same cabin would only be a bit more expensive than 1 passenger in that cabin). The Business Class is an excellent design too. Sure, its basically a suite-like adaptation of the current design but it REALLY helps push the product into "Business-First" territory. True, they are just a concept, but if SQ do go for these seats it will be very impressive. Interesting. If these submissions lost, I wonder which one won? Makes you wonder if they lost because they were too opulent, or not opulent enough :) ? Needs more Emirates bling bling gold and lights everywhere.... But yeah I think they suit the SQ style well. Love the colour palette and the obviously very high-end materials. Hate the idea of sharing my seat and private space with anyone - I get to do that every day at home and work without having to pay for it. I love my spouse, but I love the "alone" time we share across the aisle from each other and being able to dine together in either of our suites/seats and then each go back to our own seat. As far as "innovation" goes, it's not a particularly groundbreaking design, basically just a First Class suite/seat widened for two. How would pricing work for a seating arrangement like this? "Note that these are purely concepts which DCA has chosen to make public – they're not Singapore Airlines' actual next generation seats for 2017 onwards, with a spokesman for Singapore Airlines confirming to Australian Business Traveller "these seats are design concepts from a previous design submission." "you people actually think an _______ like Singapore Airlines would not outdo Etihad?" Singapore Airlines has not been on top of its game for the last few years. The first class suites from Etihad would be extremely difficult to beat. The First Class "bench" needs a moveable armrest in the center for comfort when only one pasenger - it can be put up if you really need to cuddle your partner. Many business class seating proposals including this one puts the seat near the isle, and equipment holders etc near the windiw. A window seat should be right next to the window - which puts it further away from the isle for privacy as well. I am a window seat flyer and the views on a good day beat movies any time - and you can read with more natural light. At least this version is not one of those herringbone design failures. I also think the concept is impressive and also think its quite academic as SQ has still not upgraded the 777 fleet to the newer design and apart from a few flights into Aus SQ does (according to the purser on a flight last week) not see it as a priority for Aus to upgrade cabins. Comment on "Concept designs for new Singapore Airlines first, business class"